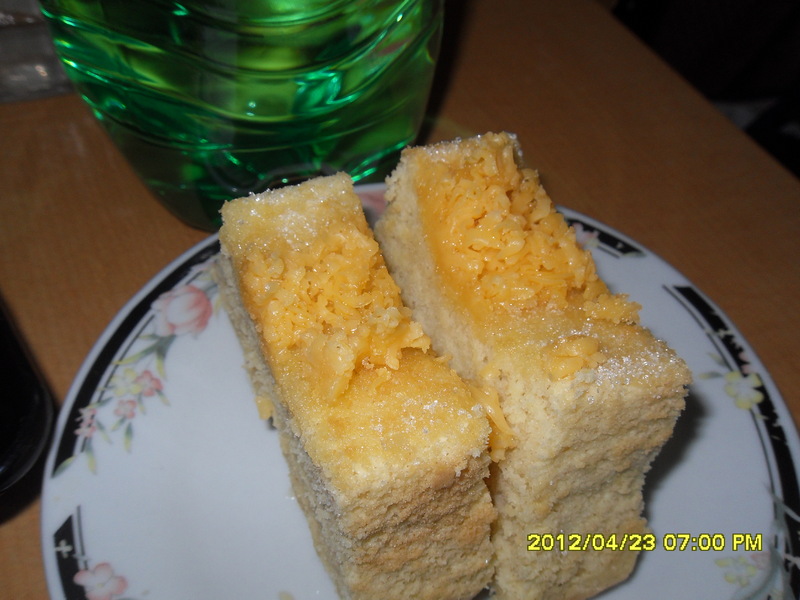 I have not heard of taisan cake before until I stumble on a site where they were discussing about this soft sponge cake brushed with butter and sprinkled with sugar and top with grated cheese and so I was very curious how it taste like although it has been said that it is similar with mamon. And truly as the name says it was definitely melt in your mouth. Hope you could try this as well. Preheat oven to 350°F. Line the bottom of 5 medium loaf pans (measuring 4 x 7 x 2 1/2 in) with baking parchment. Set aside. Using an electric mixer fitted with a wire whisk, beat the egg whites and cream of tartar together until frothy. 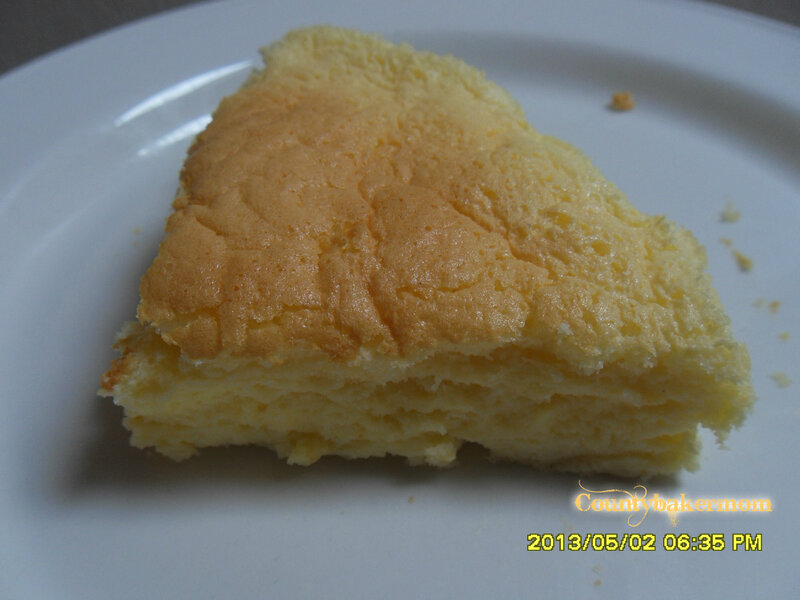 Maintaining medium speed, gradually add sugar (a tablespoon at a time) and continue beating at the same speed until the egg whites are stiff but not dry. Carefully fold in the beaten egg whites into the egg yolk mixture. Lastly, fold in the grated cheese. Divide the cake batter equally among the prepared molders. 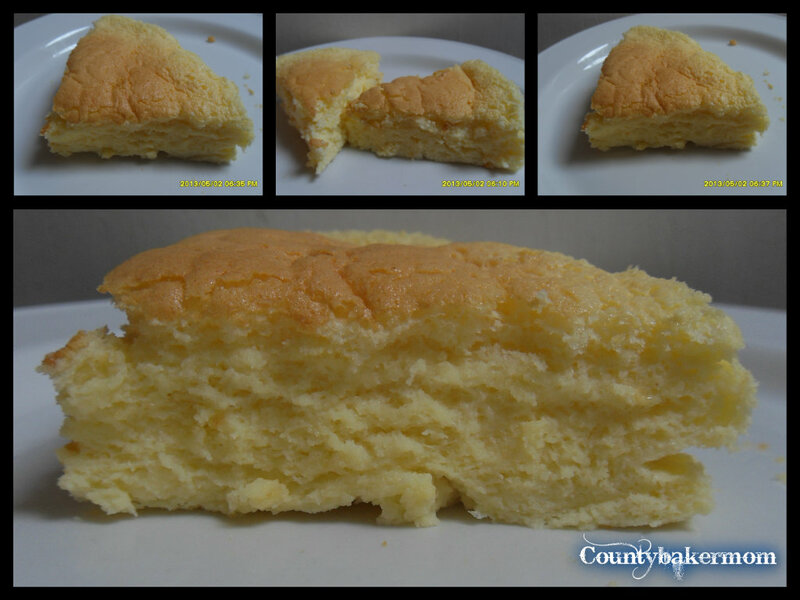 Bake for 30 minutes or until a cake tester inserted in the center comes out clean. Allow the cakes to cool upside-down on a wire rack for 10 minutes. Remove from the molders. While still warm, brush the top surfaces with softened butter and dip in ranulated sugar. 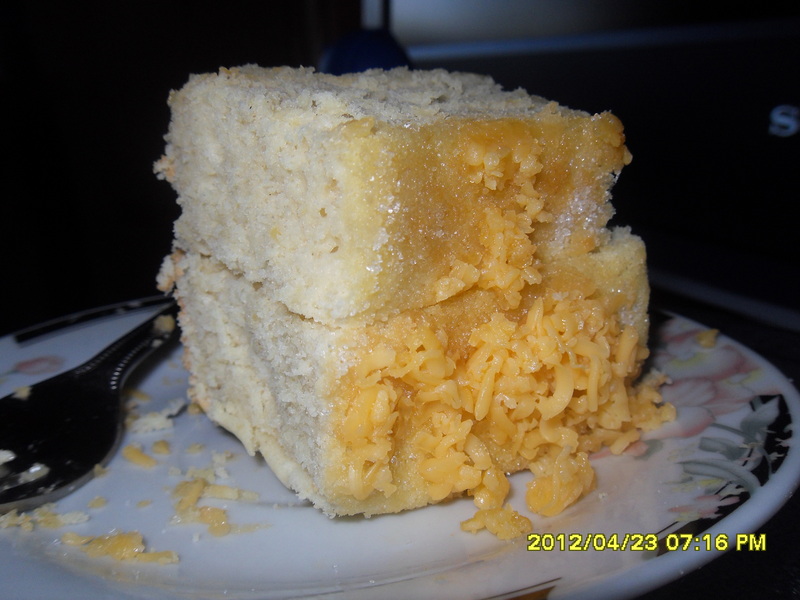 Dust with grated queso de bola / cheese.